Gina Masters, Superstar Signature Agent, is proud to announce a new listing in Essex, Vermont! Sweet starter home awaits you! 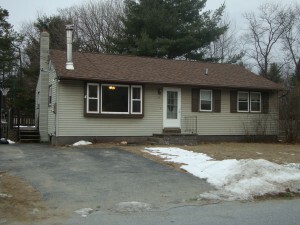 This 3 BR Essex ranch has been freshly painted and well maintained. Recent improvements include new bath vanity, new kitchen floor, kitchen hardware & exhaust fan. Original HW floors exist under loose laid carpet throughout house. The pull down pantry access maximizes space for all your storage needs. Outside, this home offers a fully fenced yard, perfect for dogs and children. In summer, enjoy the deck, pool and brick patio for entertaining. Essex Town Schools, close to bus line, Circ Hwy, and many amenities! Thank you very much! Stay tuned for more updates!